IT WAS OUR BIGGEST EVENT YET!! 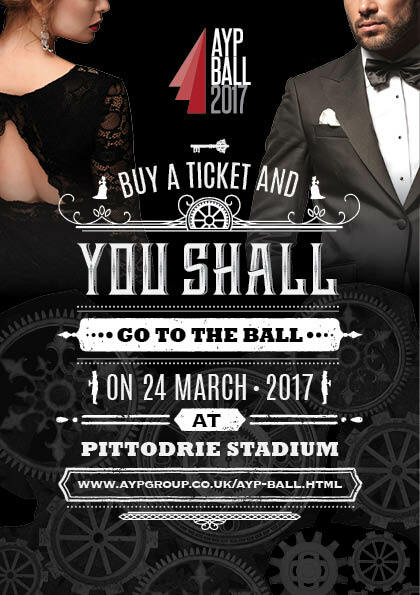 ​The Aberdeen Young Professionals group were delighted to launch its inaugural AYP Ball on the 24th March 2017. The black-tie event, was hosted​ by Matt Richardson at Pittodrie Stadium on Friday the 24th March and provided an evening of entertainment, networking and celebrations. ​Guests enjoyed a two-course dinner from locally-sourced suppliers and live entertainment. ​Balmoral Group, on behalf of Dean. "Cocoa Ooze were delighted to be involved with the AYP Ball. For its first year, it was a huge success with a great evening of entertainment and networking." "We are delighted to have our new chart radio station Original 106 Chart partner this dinner. Celebrating and marketing local business excellence is the sign of a thriving and vibrant local economy"